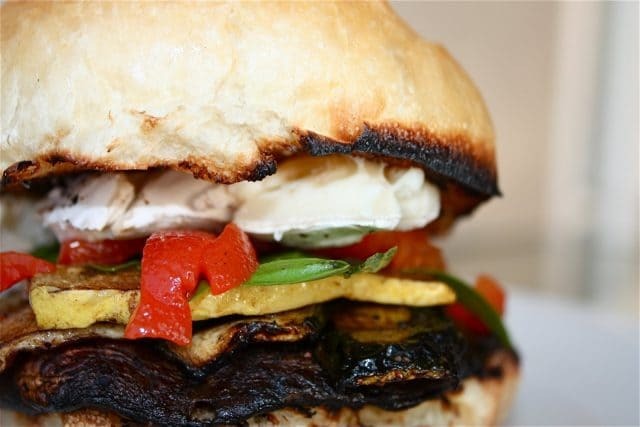 Enjoy Grilled Portabella and Brie Burgers for a vegetarian burger option! Vegetables are marinated in balsamic vinegar then grilled to perfection! Spent time with family at the beach, enjoyed some unbelievably fresh seafood from Joe Patti’s (caught right in the Gulf) and was able to relax a bit and come home feeling refreshed…I love that feeling. 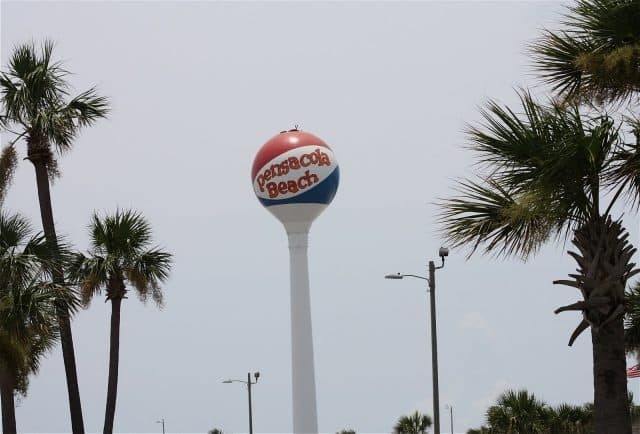 The Panhandle is a part of Florida we don’t get to often because of its distance, but it is such a gem with it’s emerald colored waters and powder soft beaches. Before we left for our trip, I put together these awesome veggie sandwiches from the grill. I will admit I was the only one enjoying them while the rest of my family ate their hot dogs. This was “mommy food” and that is just fine with mommy…I made enough for lunch for a few days and was extremely happy with that. I have nothing agains burgers and hot dogs, but grilled vegetables are my love language. 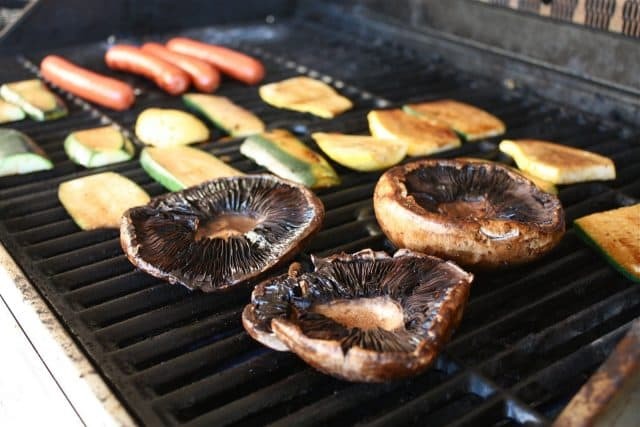 Portabella mushrooms are such a great vegetarian option for the grill because of how hearty they are, you can easily put together some of these marinated mushrooms and vegetables anytime you find yourself in need of a meatless meal. 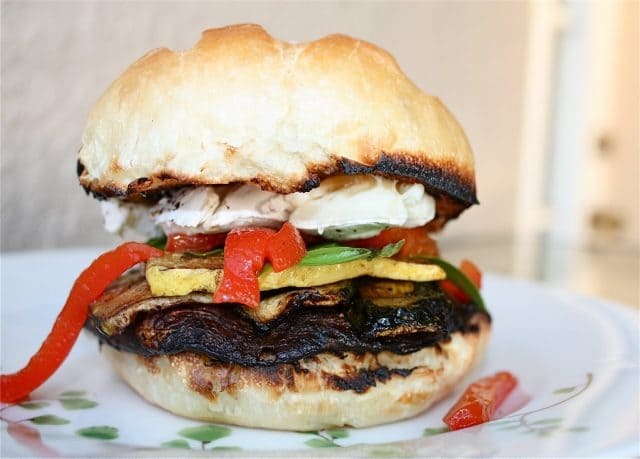 This “burger” included layers of grilled vegetables marinated in balsamic vinegar, olive oil, salt and pepper. I spread July’s Ile de France Cheese of the Month, Brie, on the warm grilled bun. How can you not feel good about eating that? Place mushroom caps and sliced veggies in a large shallow baking dish. Sprinkle with balsamic vinegar, olive oil, salt and pepper and let marinate for 15 minutes. Place veggies over medium heat on grill and cook approximately 5 minutes on each side or until you veggies start to soften and you see grill marks. Place sliced buns on grill rack and watch carefully until lightly toasted. 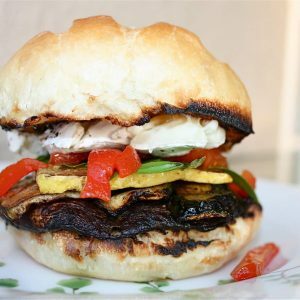 Layer mushroom caps on bottom of your buns, top with slices of zucchini, squash and roasted red peppers. Top with 3-4 basil leaves. Spread brie on top half of warm bun and serve.